Spring cleaning (or nesting in my class) is in full force! You won’t get very far without some cleaners though, so here are some great cleaners coupons. 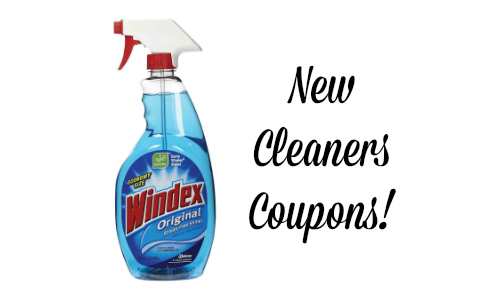 Save on Windex, laundry detergent, paper products, and more.